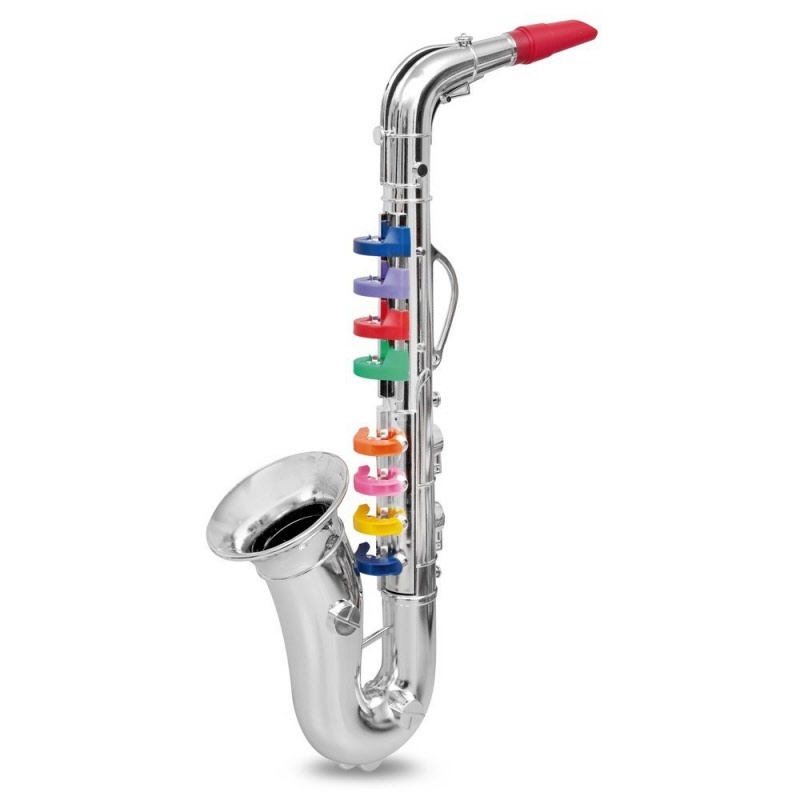 This Senior Saxophone offers 8 colored keys/notes and is larger than the Junior Saxophone. Made by Bontempi. A quality innovative toy for the young musician. Learn to play three songs / instructions included - Jingle Bells, Oh Susanna, Twinkle Twinkle Little Star.